Originally published May 26, 2010. A couple of weeks ago I had the opportunity to visit Fullerton College to meet with the college’s foundation leadership and also attend the college’s athletic hall of fame event. It was another opportunity to learn about the great work being done at colleges throughout the system, and a chance to revisit a part of my past as well. 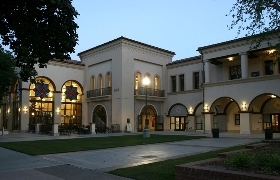 Fullerton is the oldest continuously operating community college in California, dating back to 1913, and it has quite a history in Orange County. 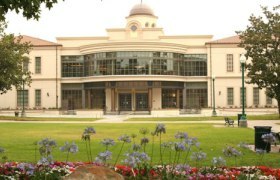 Aside from long-established workforce training programs including a highly respected police academy, cosmetology program, and childcare education program, among others; and its strong record of transfer education for students matriculating to neighboring Cal State Fullerton and other colleges and universities; Fullerton also has one of the more storied intercollegiate athletics programs in all of California. I spent just two and a half years on staff in Fullerton’s Physical Education and Athletics Department in 1994-96, but that time left an impression upon me unlike any other place I’ve been in my career. While I was there I had the opportunity to work with all of the school’s 21 intercollegiate sports teams and their coaches, teach courses in physical education and sport science, and build campus-community connections for the athletic programs while raising funds and awareness. In doing so I got to know an amazing professional family of dedicated coaches and administrators who spent more time together in the workplace than most people spend with their own families. On that recent visit to campus, I was at once stunned by how much has changed at the college and how much has remained the same. The campus is dramatically different now than it was in the mid-1990s, thanks to more than $100 million in new construction projects. At the same time, it has retained – despite all that new construction – the character that represents its long history and connection to historic downtown Fullerton. As new buildings have been constructed, painstaking efforts have been made to emulate the decades-old architectural style of the original buildings on campus, and as a result it is difficult to tell old from new. The college, steeped in history and generations of Orange County and Inland Empire students and their families, looks in many ways like an elite private college, yet it serves all comers seeking opportunities for a brighter future through education and job training. As I walked through the center of campus, I was taken back in time almost immediately as I saw Nick Fuscardo, the head baseball coach at Fullerton since the early 1980s, touring two young recruits around campus. We hadn’t seen other since the late 1990s, but after a double-take we immediately launched into conversation as if we’d seen each other only yesterday. In this era of budget slashing and program cuts to California’s community colleges, the teachers and coaches who impact students’ lives and the students whose lives were changed by their experiences as student-athletes at Fullerton both serve as reminders of why these programs should be retained. I remember Elida, a women’s soccer player whose family had come from Mexico, was struggling to balance responsibilities at home with the demands of school, her sport, and earning money to help her family, yet she kept coming to class so she could play soccer and, ultimately, have a future that would be better than her present. There was Jason, the son of a mathematics professor, who stretched his body and his mind while being challenged by faculty and coaches alike, ultimately earning a full-ride football scholarship to a Pac-10 school. And Kari, the single mom of a young boy, who had come back to school seeking a degree and a career and spent her little free time volunteering in my office and other parts of the athletic department so she could build experience that would help her in her job search. These were just a handful of the dozens upon dozens of students who benefited from Fullerton’s athletic programs in various ways during my relatively short time there, and nearly 15 years later I remember them well. They are reasons why extracurricular activities like intercollegiate athletics, performing arts, and student government matter so much at community colleges. That same evening, I attended the Fullerton College Athletic Hall of Fame banquet, where I saw dozens of my former colleagues who I spent so much time working alongside in the mid-‘90s but hadn’t seen in more than a decade. The dean who hired me in 1994, Dr. Susan Beers, was among that evening’s honorees. Dr. Beers, now retired, guided the Physical Education Division through turbulent times including periods of budget cuts, staff changes, and growth, always with class and calm, and she empowered her staff of teachers, administrators, and coaches to do their jobs without micromanagement. She also fostered the professional development of her colleagues, and she was responsible for much of my professional growth during my time at Fullerton and immediately thereafter, continually giving me opportunities to expand my role and responsibilities and ultimately assisting me in landing the job that first took me to Sacramento at the end of 1996. Each of the inductees that evening told of their amazing life experiences and personal growth during their time at Fullerton, and how it was a turning point – THE turning point – in their lives. From Steve DeBerg, the 17-year NFL veteran quarterback who said his two years at Fullerton under legendary football coach Hal Sherbeck were the two best years of his life, to Tom Tellez, who coached the great Carl Lewis to 10 Olympic Gold Medals in track, to Annette Spicer-Nielsen, who won two state swimming titles while at Fullerton College and is still a part of the Fullerton community, every honoree pointed to their time as a student-athlete, coach, or administrator at the college as a seminal period in their lives. The most striking part of the evening was how familiar it all felt. Returning to a Fullerton College event 14 years after I left the school, I was surprised at how many familiar faces were there. Many of the coaches who are now retired were there to reunite with their former professional family, and many other coaches are still active, teaching and coaching almost a generation later. The women’s track coach is still the women’s track coach. The baseball coach is still the baseball coach. The head football coach now was an assistant coach then. The softball coach remains unchanged from then to now. The continuity in the program over these many years is amazing to see, and one reason why so many great stories have come out of Fullerton College. As we look at the fiscal challenges our colleges are facing, and the potential for alumni engagement and support, events like this one at Fullerton College prove to be showcases for just why that effort to reach out to our alumni is so important. From all over the country, alumni and friends of the college’s athletic program came back to experience again the camaraderie, fellowship, and memories they gained during the short but impactful time they spent at their community college as young men and women. I hope our colleges and the foundations that support them are able to continue to grow their efforts to re-connect with their alumni who owe so much to their community colleges and would love to be involved again. Returning to Fullerton College was like going home. From the coaches I worked with to students I taught to the colleagues across campus I interacted with, the memories came back so quickly and easily. 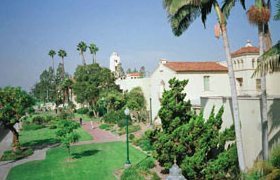 Fullerton College occupies a special spot in my career and in my memories, and I’ll be sure to keep an eye out for another chance to visit the campus and see how much more has changed next time…and how much it’s remained the same.